Natan Sharansky believes that the truest expression of democracy is the ability to stand in the middle of a town square and express one's views without fear of imprisonment. He should know. A dissident in the USSR, Sharansky was jailed for nine years for challenging Soviet policies. During that time he reinforced his moral conviction that democracy is essential to both protecting human rights and maintaining global peace and security. 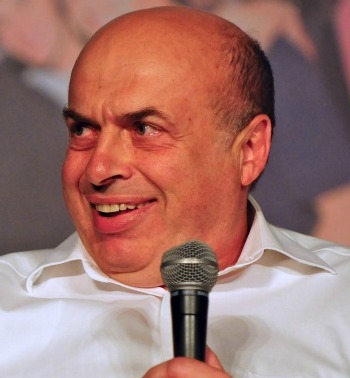 Sharansky was catapulted onto the Israeli political stage in 1996. In the last eight years, he has served as a minister in four different Israeli cabinets, including a stint as Deputy Prime Minister, playing a key role in government decision making from the peace negotiations at Wye to the war against Palestinian terror. In his views, he has been as consistent as he has been stubborn: Tyranny, whether in the Soviet Union or the Middle East, must always be made to bow before democracy. Drawing on a lifetime of experience of democracy and its absence, Sharansky believes that only democracy can safeguard the well-being of societies. For Sharansky, when it comes to democracy, politics is not a matter of left and right, but right and wrong. This is a passionately argued book from a man who carries supreme moral authority to make the case he does here: that the spread of democracy everywhere is not only possible, but also essential to the survival of our civilization. His argument is sure to stir controversy on all sides; this is arguably the great issue of our times. In 1977, a Soviet newspaper alleged that Mr. Sharansky was collaborating with the CIA. Despite denials from every level of the U.S. Government, Mr. Sharansky was found guilty and sentenced to thirteen years in prison including solitary confinement and hard labor. In the courtroom prior to the announcement of his verdict, Mr. Sharansky in a public statement said: “To the court I have nothing to say – to my wife and the Jewish people I say “Next Year in Jerusalem”. After nine years of imprisonment, due to intense international pressure and a campaign led by his wife, Avital Sharansky, Mr. Sharansky was released on February 11, 1986, emigrated to Israel, and arrived in Jerusalem on that very day. Upon his arrival to Israel he continued the struggle for opening the gates of the Soviet Union. The final chapter of this historic struggle for the release of Soviet Jews was the momentous rally of over 250,000 people on December 7th, 1987, of which Natan Sharansky was the initiator and driving force. The rally coincided with Soviet President Gorbachev’s first visit in Washington and was influential in pressuring the Soviet Union to ease its restrictions on emigration. In 1988, in expectation of the opening of the gates of the Soviet Union, Natan Sharansky formed together with other former Refuseniks and Aliya (immigration to Israel) advocates the Soviet Jewry Zionist Forum, an umbrella organization of former Soviet activist groups dedicated to helping new Israelis and educating the public about absorption issues.From 1990 to 1996 Mr. Sharansky served as Associate Editor of “The Jerusalem Report” and in 1994 co-founded Peace. From 1990 to 1996 Mr. Sharansky served as Associate Editor of “The Jerusalem Report” and in 1994 co-founded Peace Watch – an independent non-partisan group committed to monitoring the compliance to agreements signed by Israel and the PLO. The party was established to accelerate the absorption of the massive numbers of Russian immigrants into Israeli society and to maximize their contribution. From 1996-2005 Natan Sharansky served as Minister as well as Deputy Prime Minister in four successive Israeli governments. In November 2006 Natan Sharansky resigned from the Israeli Knesset and assumed the position of Chairman of the newly established Adelson Institute for Strategic Studies at the Shalem Center in Jerusalem. He is also the Chairman of One Jerusalem and Beth Hatefutsoth, the Jewish Diaspora Museum in Tel Aviv. In June 2009, Natan Sharansky was elected Chairman of the Jewish Agency for Israel. Natan Sharansky was awarded the Congressional Gold Medal in 1986 and the Presidential Medal of Freedom in 2006. He has continued to lead human rights efforts both through his writings as well as public activities.His memoir, Fear No Evil, was published in the United States in 1988 and has been translated into nine languages. His New York Times bestseller, The Case for Democracy: The Power of Freedom to Overcome Freedom and Terror attracted wide-spread attention. After reading the book, President George Bush was quoted saying: “If you want to understand my political DNA, read this book.” His latest book, Defending Identity, Its Indispensable Role in Protecting Democracy published by Public Affairs, was released in June 2008. Natan Sharansky is married to Avital. They reside in Jerusalem and have two daughters, Rachel and Hanna, and two grandchildren. "Mr. Sharansky’s incredible story of advocacy, persistence, and amazingly good spirits even while being imprisoned for 13 years; we even learned about his successes playing chess in this year’s Maccabi games in Israel!"